BMW Group Australia’s Managing Director Phil Horton has predicted that Holden operations in Australia would cease to exist should the Liberal Party win at September’s Federal Election. 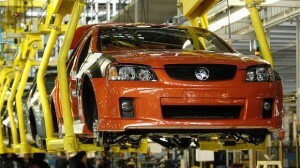 “With a coalition government, the writing is on the wall for Holden,” Mr. Horton said, quoted in an article on The Age. Horton said the Liberal party’s refusal to provide financial support for Holden would only speed up the shutdown of the car maker, since there are also “massive economic factors” beyond politics that are stacked against Holden’s future as a manufacturer in Australia. “It makes no logical sense for Ford and Holden to have a manufacturing operation in a country like Australia,” he said. Horton made his statements despite the fact that BMW’s manufacturing operations are heavily subsidized by its government, according to the report. It is also believed that some of BMW’s components are sourced from Australian supply chains. He believes the Coalition government is not prepared to provide the necessary level of support for automotive manufacturing in the country, particularly the significant amount of subsidies required. “The coalition is not making the sorts of noises Labor has been making,” he said. The only glimmer of hope, Horton sees, is in Toyota’s operations since the company has the ability to survive in any situation. “Manufacturing’s what Toyota does, so they’re across that issue,” Horton said.